Homepage › Articles › Entertainment › A Knight to Remember for Batman? 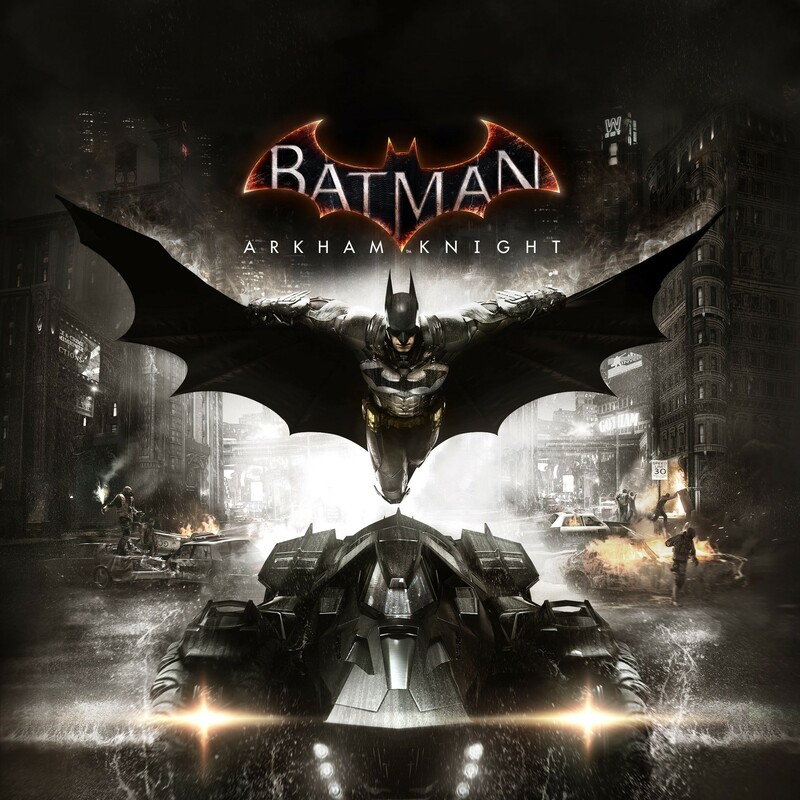 Batman: Arkham Knight is the final installment of the Arkham series by Rocksteady and Warner Bros. Interactive Entertainment. The game itself was to be released on PC, Xbox One and PS4 in October 2014 and Harley Quinn is also supposed to be a playable character if you pre-order the game. However, the game will now be released in sometime in 2015. Set a year after the events of Arkham City, it follows Batman as he faces his biggest challenge yet. The game is set around the season of Halloween in theme with its main villain, The Scarecrow, who swore revenge against the Dark Knight in Arkham City and Asylum after his encounter with Killer Croc. Rocksteady have released that the Scarecrow has united Arkham Regulars with a common goal and has planted several bombs round Gotham City. Filled only with thugs, super villains and police, Gotham is in danger once again but what is new in Arkham Knight? Well for one, the Batmobile. Yes, us players get to drive the Batmobile around Gotham City. And why is this so great? Because it's never been done in the previous games and makes traveling so much more easier. The map of Arkham Knight is said to be five times the size of Arkham city so we're gonna need a good way of traveling. Not only that but we can use the car to smash through walls, pillars and pretty much anything. We can also use the Batmobile in the Riddler's challenges and use it as protection in the more violent parts of Gotham. There is also the eject system which helps you go into gliding and we can also use it in a non lethal attack to take down villains. The Gadgets have also had a little change. The grapple boost returns as Mark II ad allows you to go higher and faster then before and the line launcher returns. You can also now use gadgets while gliding to take down enemies in mid-air. The combat has also changed slightly. The Dark Knight can use borrowed weapons, like pipes or bats, to deal out damage and can take down a few enemies with a new counter move by hurling the enemy you're deflecting into a group but the new silent take down has rises a few heads. In the previous games, you could take down individuals silently but with the Fear Take down, you can take out a large group of enemies so long as you're not seen. But as cool as those are, we can't use them without villains so what is new on the villain part? Well Rocksteady have released that the Riddler, Two Face, The Penguin and Harley Quinn will be joining the Scarecrow as the main villains. Rocksteady have released that like Batman, the Riddler's appearance will change through out the events of the game and though his Riddler Challenges return in the form of racing, he may actually play an important part in the game. Rocksteady have released a picture of him, along with Quinn, Two Face and Penguin but we have yet to see the Scarecrow. Rocksteady have also released a new villain made pure for the game. The Arkham Knight appears to be a militarized version of the Dark Knight, armed with a shot gun and designed to test Batman to his limits. Should be fun to fight. Of course, there have been other rumors surrounding the new game. Poison Ivy, Deadshot and Bane are rumored to return with the new additions of Killer Moth and Man-bat but this is yet to be confirmed. Fortunately the Dark Knight does have the help of Oracle, not just as a voice, who has set up her lair in Gotham Clock Tower, which also doubles up as a makeshift Bat cave. And let's not forget the police force and commissioner Gordon but what of other villains and allies? Will Killer Croc return? What happened to Clayface after the events of Arkham City? What about Hush and Azazel? Will they both return in Arkham Knight? Neither had a massive part in Arkham City but both storyline certainly left questions. Is Catwoman gonna return? Or will Robin be a playable Character in this game? Either way, the game looks fun to play and certainly a night for Batman, and the player, to remember. Even with rumors like Superman being in it and Damian Wayne being Batman, I personally can’t wait to play it.